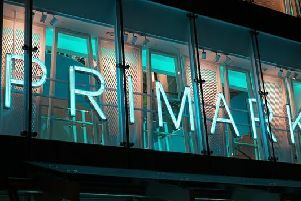 A merger between battling retailers House of Fraser and Debenhams has been mooted, with a retiring senior Sports Direct official confirmed the move had “been discussed”. Simon Bentley, who is retiring after 11 years on the Sports Direct board, confirmed the potential merger at today’s company annual general meeting (AGM). But he added the company still had its “hands full” with integrating House of Fraser. Sports Direct owns just under 30 per cent of Debenhams, close to the threshold at which it must launch an official takeover bid. A total of 9.8 per cent of investors voted against Mike Ashley’s re-election at the Sports Direct AGM. Mr Ashley has said he wanted to turn House of Fraser into the “Harrods of the High Street”. House of Fraser owns Jenner’s department store on Princes Street in Edinburgh, as well as outlets in Glasgow and at Loch Lomond. The House of Fraser store in Edinburgh’s West End is due to close this month. Sports Direct chairman Keith Hellawell has said he will step down from the company, ending a controversial nine-year tenure in the role. Mr Hellawell will retire with immediate effect following today’s AGM and will be replaced by non-executive director David Daly.